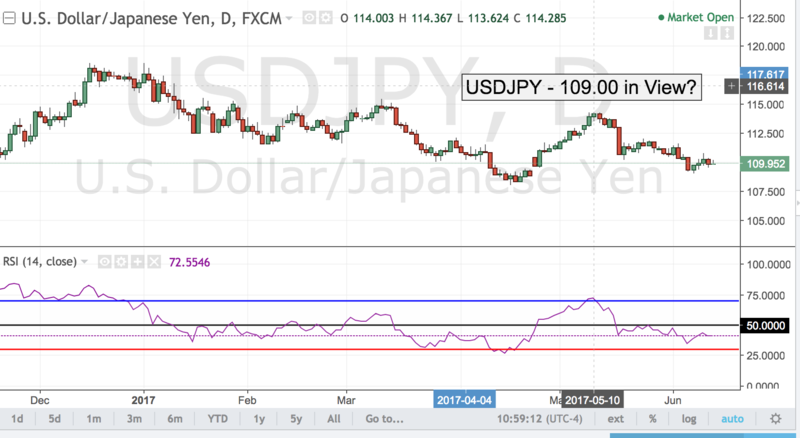 USDJPY – 109.00 in View? USD/JPY continues to be under pressure as US yields sink lower. The benchmark 10 years is at 2.20% as the market increasingly begins to doubt the fact that the Fed will hike rates any further beyond the 25bp factored in for tomorrow’s rate hike. Despite the generally hawkish posture of US monetary officials, US data has been woefully disappointing and the much-vaunted rebound in second half of 2017 is nowhere to be seen as growth continues to track at about 2% rate. The end result is that market expectations have gradually declined from 4 rates hikes this year to 3 to now only 2. The Fed funds futures project only a 42% chance of any additional rate hikes beyond the June hike expected this week. 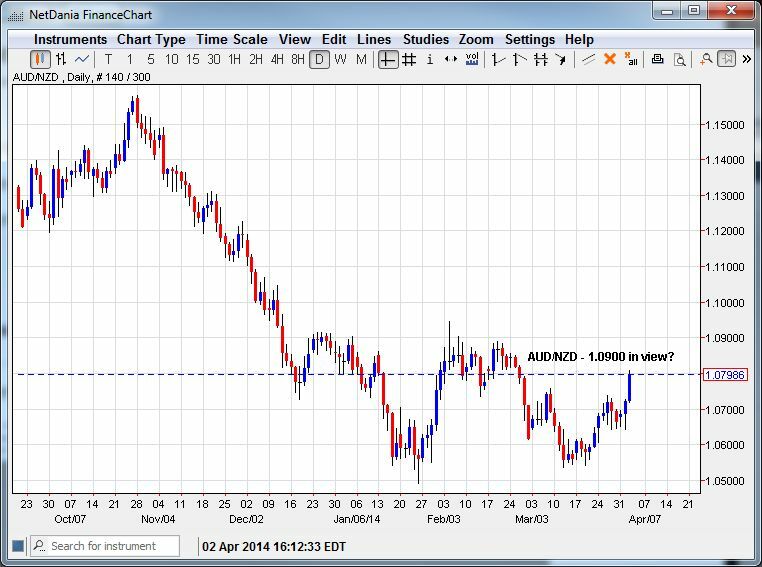 AUD/NZD – 1.0900 in View? The sharp turn upwards in the AUD/NZD pair has taken many traders by surprise as the cross was supposed to be a one way trip to parity given the expected widening of interest rate differentials in the pair. However the recent rebound suggests that the market assumptions may be incorrect. The Aussie has managed to shrug off the worries about the China slowdown as the economy Down Under continues to perform well despite the drop off in demand for mining products. Today’s AU Retail Sales could prove crucial in demonstrating this resilience. If the number beats the modest 0.4% expectations the Aussie could rally further and take out the 9300 level with force. The kiwi meanwhile has been hobbled by the news that dairy auction prices were much lower than expected, casting doubt on growth going forward. With pair having stalled at the 8700 level once again, the kiwi is vulnerable to further profit taking and that could push the AUD/NZD cross towards the key 1.0900 level.